Your home search stops here! Come view this renovated Rancher with a basement, which includes the Master on the main floor. Situated on a beautiful private setting and backing right on to Hope River. You will love the vaulted ceilings, hand crafted posts railings and professionally installed hardwood floors. Relax on your 35'x12 vaulted covered deck, which looks over your beautiful yard and garden. 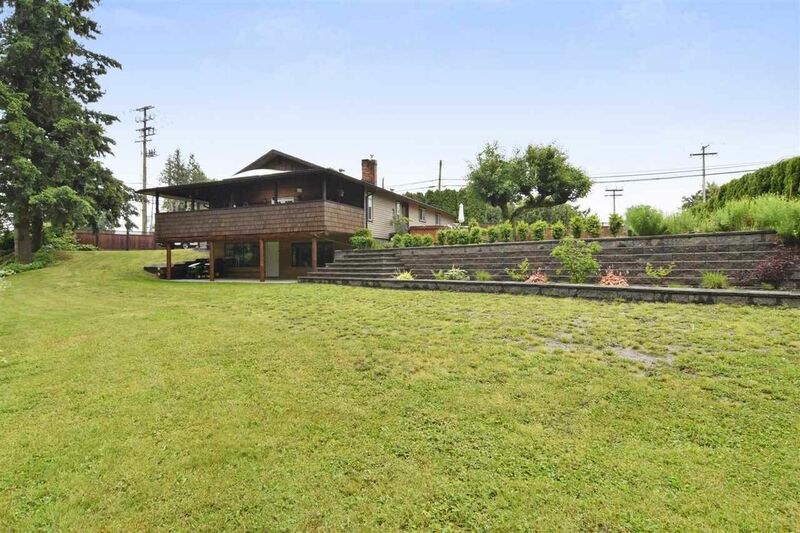 This Property sits on over 10,000 sq ft on land but backs on to even more Crown Land. The garage has heightened ceilings which can accommodate a lift, perfect for garage hobbyists. Convenient access to Hwy 1, not far from town and schools nearby. Call today to book your personal viewing.